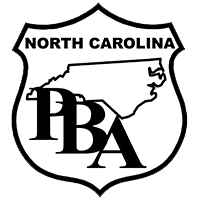 The North Carolina Police Benevolent Association is the largest law enforcement association in North Carolina. We are supporting state Rep. Bob Steinburg’s efforts to create legislative oversight of the North Carolina prison system. In April of this year, Sgt. Meggan Callahan was brutally murdered at the Bertie Correctional Institute. Recently correctional officers and staff were injured and killed in an attempted prison break at Pasquotank Correctional Institution. There are numerous correctional officers working in prisons across the state that are equally as vulnerable.